LAB100 The LAB100 growroom is the optimum shape and size to house a 400w HPS light system, a 600w can be used but excellent ventilation and an air-cooled reflector is advised. Features 2 side access doors for easy plant maintenance. LAB120 The LAB120 is good for growing around 9 plants and is the optimum shape and size grow room for housing a 600w light system. Features 2 side access doors for easy plant maintenance. LAB150 The LAB150 is the optimum size and shape for a 1000w HPS light system. 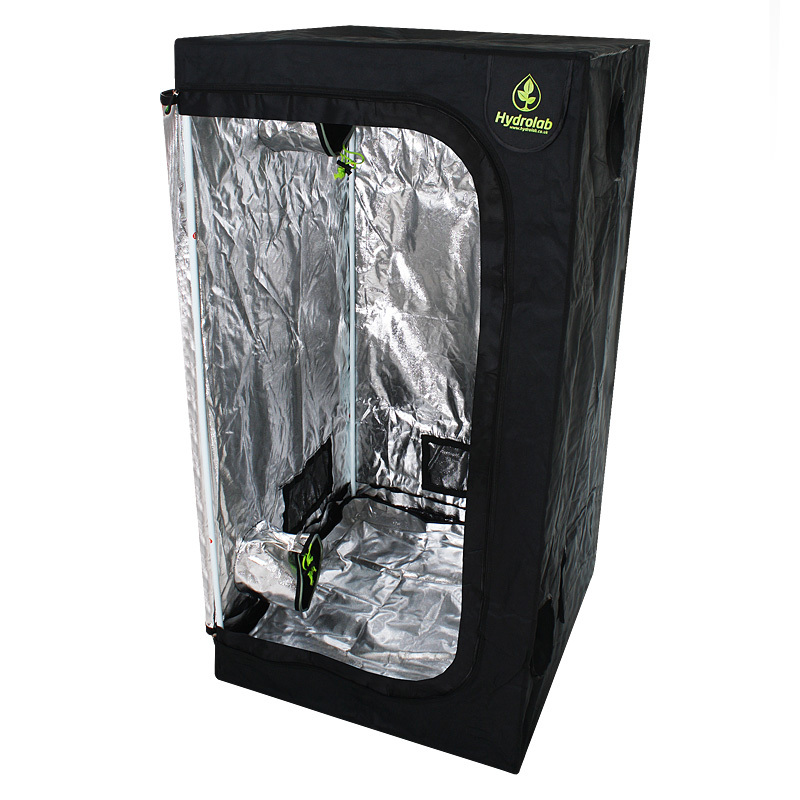 This tent has the potential to house around 12-14 plants. Features 2 side access doors for easy plant maintenance. LAB200 The LAB200 is a perfect cube in shape and is the ideal size for running 4 x 400w HPS light systems, potentially 4 x 600w if excellent ventilation and air cooled reflectors are used. Features 2 large rear access doors for easy plant maintenance. 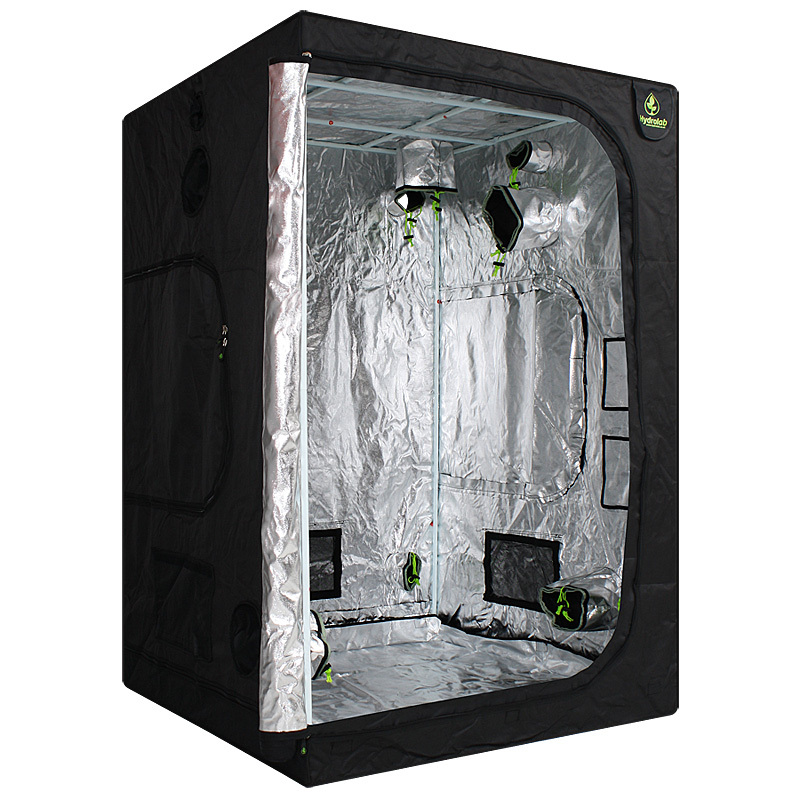 LAB240 The LAB240 allows you to create a large grow space with the ability to hang up to 4 x 600w HPS light systems and heavy ventilation equipment without the need to drill holes and make unsightly modifications to the room in which you want to grow in.